Blake accepted God’s calling to Pastor WABC in August of 2016. He married his wife Bryse in August of 2015 and they have a golden retriever named Harper. Blake graduated from Oklahoma Baptist University with a Bachelor of Arts in Biblical Studies and a minor in ministry; he is now pursuing his Masters of Divinity from Midwestern Baptist Theological Seminary. Blake surrendered to Christ at the age of 16 and immediately accepted the calling to ministry. Upon graduating high school, he served as a student ministry intern at Immanuel Baptist in Shawnee for 3 years. Next, he served as Student Pastor at New Hope in Tecumseh for a year and from there God called him out of student ministry to plant a church. In the transition time he was asked to fill the pulpit at a church called Wallace Avenue which was without a pastor at the time. He and Bryse immediately fell in love with the church. WABC was aware that they needed to have a “replant” mentality in their next phase of life and with their new pastor search…. You can probably figure out the rest. God has sovereignly been molding Blake and Bryse, as well as WABC to unite one another and it has been a great match thus far. Praise be to God! In his free time, Blake loves watching sports (especially Oklahoma State football, and OKC thunder), fishing, playing guitar, chicken express and spending as much time as he can with his best friend, Bryse. Graham has been serving at WABC as the Worship Pastor since 2015. He has since transitioned to Associate Pastor/ College Pastor. He is currently a Senior at Oklahoma Baptist University pursuing a Biblical Studies degree with a minor in Piano. Outside of the ministry, he enjoys studying and writing music along with playing or watching sports (Favorite teams: Dallas Cowboys and OKC Thunder). God called him at a young age to pursue ministry as a pastor and live in pursuit of spreading the gospel. His heart for the ministry is to be an example of a scripture based life to impact the lives of those in the church and in the community around him though worship, discipleship and friendship. 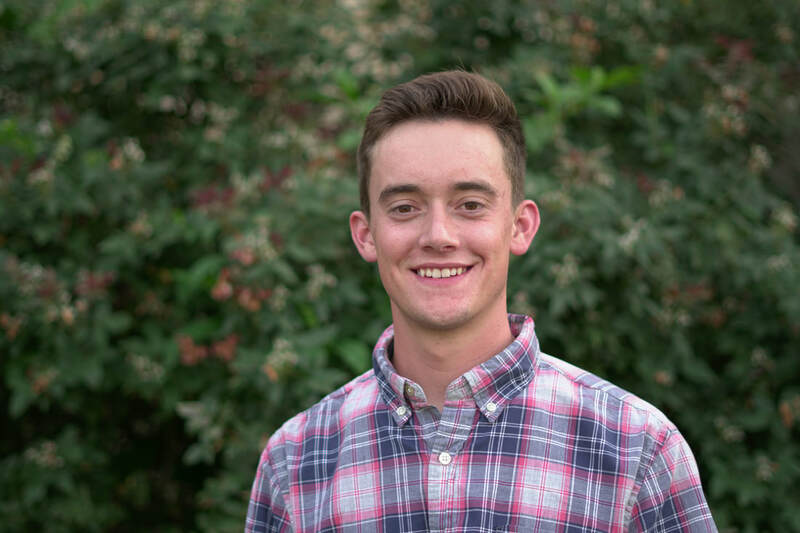 Cole has been serving at Wallace as the Student Pastor since August 2016. He is currently a senior at Oklahoma Baptist University pursuing a Biblical Studies degree with an emphasis in Student Ministry. The Lord called him to ministry as a young man and has given him a heart for students. He loves being with people and has a passion for teaching students how to live a life worthy of what God has called them to. His hope and prayer is that students and families will know the love that God has for them and the mission that he has called them to, sharing the love of Christ with others no matter what. Cole also enjoys spending time with friends and playing/watching sports. Misael Alonso Gonzalez has been serving at Wallace Avenue Baptist Church on the worship team since August 2017. He then transitioned to serve as our Worship Pastor in August of 2018. He grew up in Altus, Oklahoma after his parents divorced in Tulsa, Oklahoma when he was 5 years old. He is currently a student at Oklahoma Baptist University pursing a degree in Biblical and Theological Studies with a Minor in Philosophy. His goal is to eventually attain a Masters Degree and a Doctorate. Misael desires to be part of God’s plan to see the diverse Kingdom of God restored by seeing people of all ethnic and cultural backgrounds commit their lives to Jesus Christ. Lastly, he loves playing all sports and has won multiple intramural championships. David has been serving in the children's ministry at Wallace since August 2017. He then transitioned to serving as our Children's pastor in May of 2018. He is currently a Junior at Oklahoma Baptist University where he is pursuing a degree in Children’s Ministry with an Athletic Coaching minor. Originally, David joined Wallace as a member of the worship team where he played the drums, but as God solidified his calling, David stepped into the role of Children’s Pastor. David surrendered his life to Christ his freshman year of high school. Since then, the Lord has given him a passion to teach the Word of God and to share the love of Jesus with students and families. His prayer and hope is that God will save lives, change families, and raise up a generation that is eager to share the love of Christ and that those who come to Wallace experience a fun and safe environment where they can see who Jesus is. In his free time, David enjoys playing the drums, hanging out with friends, and enjoying the life that the Lord has given him. Michelle lives outside of Tecumseh on a small farm with her husband of 24 years Kevin, son Austin, daughter Bailey, pet cows Ellie and Lady, and several chicken. They have 2 sons (Josh and Kevin Jr.) that live in Indiana with their families. Michelle has been a member of WABC since 2012 and started serving as the Ministry Assistant in 2014. Michelle is also heavily involved with the kid's ministry.